In July, The International Wine of the Month Club’s Premier Series offers four unique and enjoyable wines from four different countries. Val de Vie’s 2014 Barista Pinotage from South Africa begins this month’s selections. Recently, some premium South African Pinotage producers have introduced what they affectionately call “Coffee Pinotage,” a unique 100% Pinotage that offers a distinctive coffee flavor to complement Pinotage’s rich fruit. A combination of special yeasts and toasted oak barrels or staves is responsible for the wine’s coffee flavor as the wine contains no coffee. Blended with the redolence of cranberry, pomegranate and wood smoke, the aromas and flavors of the 2014 Barista Pinotage are both seductive and unique. The delicious 2015 Kir-Yianni Paranga White from Macedonia, Greece sparkles with a glint of the Aegean sun and cuts a fine figure in the glass, adding eye appeal to the wine’s olfactory and gustatory charms. A combination of two premium Greek grape varieties, Roditis and Malagouzia, the 2015 Kir-Yianni Paranga White offers seductive aromatics and a round soft mid palate with hints of apricot, peach and wild mint, which are followed by good crisp acidity to aptly frame the wine’s juicy flesh. 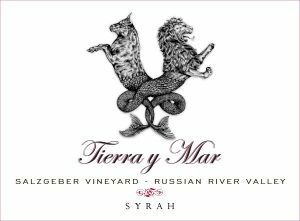 Next in line this month is the big, bold, beautiful 2014 Tierra y Mar Russian River Zinfandel. Born during the magical 2014 vintage, the 2014 Tierra y Mar Russian River Zinfandel displays all of the hallmarks for which Russian River Zinfandel is renowned, from a deep regal purple hue and vibrant aromas of ripe blueberry, strawberry, and black fruits to lush berry, bramble and spice flavors that coat the palate, but that’s not all. 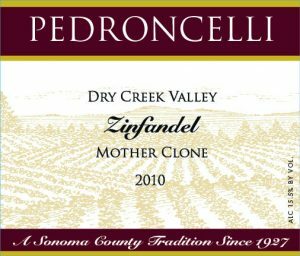 This Zin finishes with plenty of fireworks in the form of ripe lush tannins and beautiful spice tones. Rounding out this month’s Premier Series is Caminhos Cruzados’ 2014 Titular Dão White (Branco), a blend of Portuguese varietals that has quickly become a staple among our tasting panel members. Light, fresh, and highly aromatic, this tasty white wine makes for a wonderful anytime quaff. 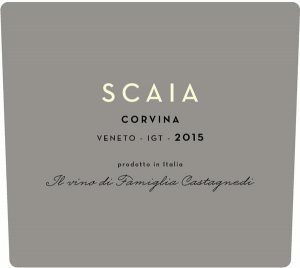 It exhibits a pale straw color, an enticing bouquet redolent with orange and lime blossoms, and a soft gentle minerality on the palate, which makes it go down ever so easily. Enjoy! As a sneak preview, in August look for the 2015 Le Provençal Côtes de Provence Rosé, a special cuvée selected from various parcels of vines from light, sandy soils as well as hillside vineyards planted on ancient limestone terraces. The combination of terroirs yields an elegant, dry Provençal rosé of distinction. The International Wine of the Month Club’s Collectors Series is proud to offer three exceptional wines in July from three countries. This month, Ben Glaetzer’s 2013 Bishop McLaren Vale Shiraz leads the way, a wine that displays an inviting royal purple robe, bold, textured flavors, and wonderful purity. The wine’s visual appeal is followed by an enticing aroma of cassis, mulberry, and spice that greets the nose from the moment the 2013 Bishop exits the bottle, and the wine’s sensual bouquet and flavor are just this Bishop’s opening remarks, which has no doubt earned Glaetzer’s 2013 Bishop McLaren Vale Shiraz 95 Points from James Halliday as well as 92 Points from Vinous. Enjoy! Next up is Bethel Heights’ 2013 Estate Eola-Amity Hills Chardonnay, a wine that is sure to turn some heads and elicit more than a few smiles. For decades Bethel Heights has produced many of Willamette Valley’s finest estate grown Pinot Noirs, but equally compelling is Bethel Heights’ Estate Eola-Amity Hills Chardonnay, a very small production made in a tasty Burgundian style. Awarded 90 Points from Wine Spectator, the 2013 Bethel Heights Estate Eola-Amity Hills Chardonnay offers an enticing bouquet resplendent with soft textured fruit, hints of spice, a gentle minerality, and just enough oak from barrel ageing to burnish the wine’s components to a fine art. Reminiscent of Premier Cru white Burgundy, this Bethel Heights Chardonnay caresses the senses. Completing this month’s Collectors Series is the 2013 Lavau Gigondas, a wine we described as packed, pure, and polished. 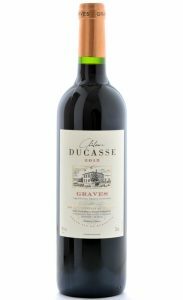 It is a stunning contemporary rendition of Gigondas with deep, amplifying aromas of blackberry, cassis, cherry, and anise mingled with a faint waft of the most pleasing incense. On the palate, this heady Gigondas is downright juicy and ripe, decadent with luscious fruit flavors, but not the least bit flabby as it is held perfectly in check by ripe, polished tannins that afford it a taut body and a smashing finish.